Let me level set right from the start: I like Carfax. I have friends who work at Carfax. I think Carfax has (ultimately) been good for the industry. Additionally, this post is not intended to encourage dealers to cancel their Carfax.com listing agreements, only to drive dealers to ask Carfax to quit mistreating Carfax’s paying customers (the dealers) and harming themselves by spamming and confusing buyers. There are lots of cool things dealers and classified websites like Carfax.com can do with technology. For example, they can email a prospect multiple times a day for “free.” That is, they can program their CRM tool to send as many emails as they want without ever worrying about a dollar cost or a time cost… it’s automatic and free, right? They send you to their junk folder – increasing the likelihood that your future emails are tagged as spam when trying to reach the next prospect using that email provider. We mystery shopped for a client using their listing on Carfax.com and received 31 emails from Carfax.com over the next 64 days! These 31 emails were in addition to the ones the dealer was sending as part of their internet sales process. I may not be able to define it, but I know it when I see it… 31 emails over 64 days is spam. This spam, by the way, is bad for Carfax and it’s bad for their dealers. So, why do they do it? 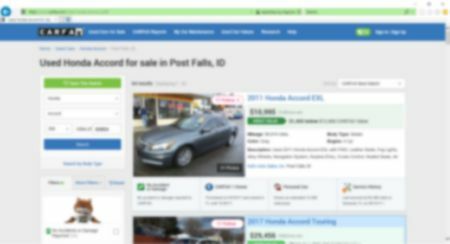 Another cool thing sites like Carfax.com can do with technology is scour their listings every day and send inventory updates to those who’ve already submitted a lead. For example, of the 31 emails Carfax bombarded us with, 25 alerted the prospect to competitive vehicles for sale nearby (“Accord just added near you”) – with the first such alert arriving the day after the original lead was submitted. Moreover, the 25 emails each contained up to 20 alternate vehicles with the overwhelming majority of these vehicles resting on competitive lots! Only 4 of the 25 emails led with an Accord on my client’s lot – who, by the way, is a Honda dealer and the largest dealer in the area. Fully 21 of the emails highlighted a competitor’s listing for this prospect. As most thinking people understand, limiting choice after a consumer has made a decision allows you to close at a higher rate; while throwing too many choices at someone most often leads to no decision (https://hbr.org/2006/06/more-isnt-always-better). Plus, with all the information available to today’s consumer and the pricing of nearly all used vehicles at or near their selling price, any lead received on a used unit is essentially an order to buy that car. That is, unless you bombard the buyer with too many choices. The team behind the Carfax.com listings and lead handling processes were so preoccupied with whether or not they could, that they didn’t stop to think if they should bombard the dealers’ prospects with alternate and (especially) competitive choices. Coincidentally, during the mystery shop, the vehicle of interest was sold. Given this, you would think that Carfax allowed my client (their paying customer) to contact the prospect and offer an alternative, right? Wrong. Carfax sent an email alerting the prospect that the Accord had sold and offered them 19 alternatives… 18 of which were resting on competitive lots! Of course, an email like this would all but doom any chances the original dealer would have with a prospect. The team behind the Carfax.com listings and lead handling processes were so preoccupied with whether or not they could, that they didn’t stop to think if they should get between the dealers and the leads the dealers paid to receive. I like Carfax, but unfortunately, I can’t recommend dealers use the Carfax listing product given the amateurish way Carfax treats the prospects looking to buy, and – what I assume is – an incorrect belief that a prospect submitting a lead belongs to Carfax and not the dealer. Moreover, I’ve instructed my clients to ask Carfax to change their processes to support the dealers’ efforts to sell cars – rather than impede them – or to look for alternatives to Carfax if this cannot be achieved. 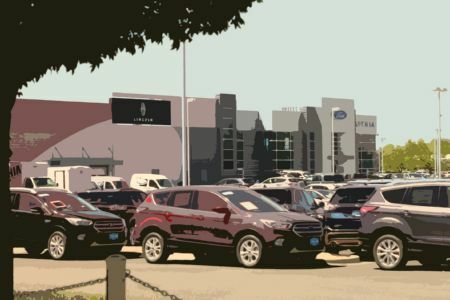 Changing these ill-conceived practices at Carfax would potentially reduce their repeat visits and lead counts, but would undoubtedly grow their anemic closing rates and most likely increase the sold units for their dealers. I would love to hear your constructive thoughts on this.